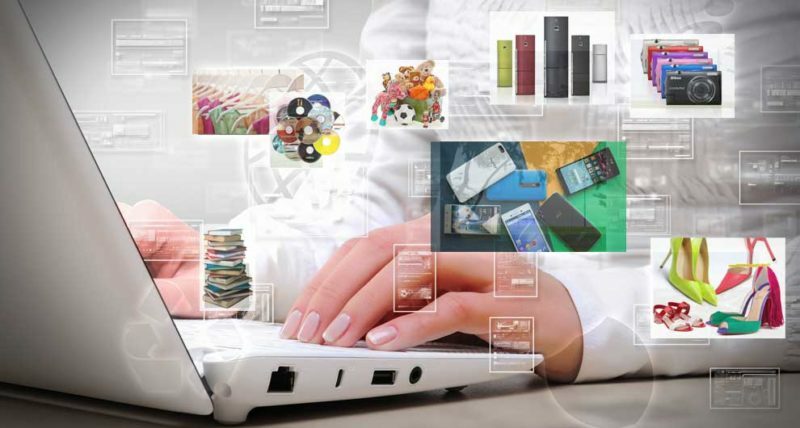 A unique tool, suitable for any company needing to manage product data records: ECat is the web solution to archive and visualize a possibly unlimited amount of products, organized in default data sheets with multimedia high definition contents and files. Product sheets are customized by product category, allowing a more precise data management. Every sheet conveys a load of warehouse, logistic, administrative, commercial and store information. Product data can be used in Ecommerce, B2B or B2C sites, and ECat information can be a base to create promo flyers. ECat can manage both attached files and related or alternative products. A specific product search is available thanks to multibrand, advanced research filters: product comparisons become easy and simple, viewing status, availability, id codes and preview images, everything for a precise product identification. ECat offers in-store services: its web-based structure allows its browsing directly from retail stores. We integrated ECat with several functions to support sales assistants: product sheets are printable directly, you can manage QRCodes to create labels (both regular and electronic labels) which can be shown on the store shelf. Ecat DataManager© is the centralized electronic catalogue for the Retailers in Consumer Electronics: products, uniquely identified by suppliers through a single product sheet, are made available to all retailers through a shared web platform: thanks to automatic integration and data synchronization, a standard communication makes information always accurate and updated. ECat Product Ecat Product Management is the web platform where suppliers load their data (the system automatically creates XML Ediel files), that are integrated in Ecat Data Manager sheets. Ecat PM becomes a real company catalogue, that collects every information of all the produced and distributed products. Everything is listed into detailed fields, easy to complete: the sheet does not include basic product data only, but can also be filled with information related to logistics, administration, commercial and promotions, and can be customized depending on the receiving retailer. Light and agile integration software which automatically creates a unique file including all the data needed to complete a product sheet on Ecat Data Manager©; this file is subsequently sent to the web platform in a standard XML Ediel format: Ecat Integration was developed to act just only on information fields selected by the user, and does not take into consideration other information. We develop solutions to manage E-Commerce, B2B and B2C websites, which can be completely integrated with the company management software and the different modules (accounting, warehouse, shop, price lists and Electronic catalogue). Wins can offer the concept and making of websites layouts: appealing graphics which ensures a user-friendly navigation. Ecat is supported by Wins on Internet Explorer 11 and is supported on all currently supported servicing branches of Windows 10.